Bob: Hey, brother! 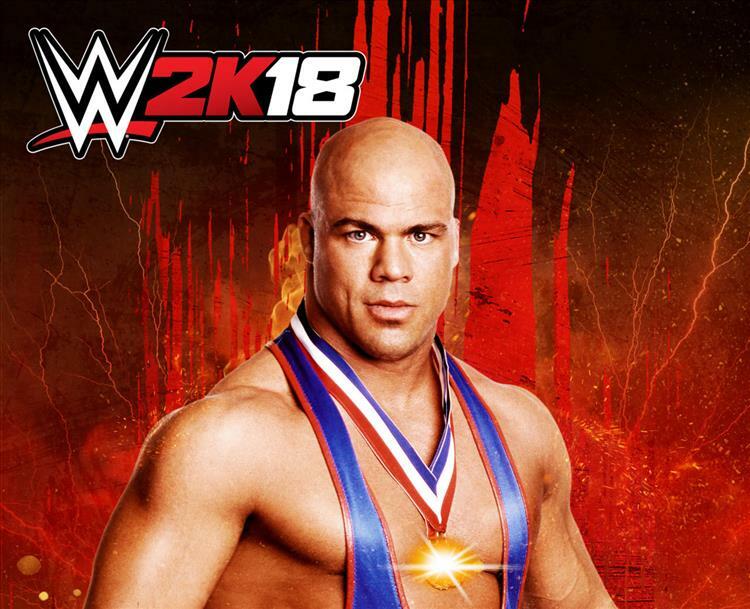 Guess who's coming to WWE 2K18 as a pre-order bonus character? You know his name, The Olympic Gold Medalist! The Wrestling Machine!! The American Hero himself! Kurt Angle baby! Jim: That's right Bob, Angle revealed this during a press conference where he said we'd get not one, but TWO different versions of his popular wrestling persona. First, the "American Hero," the persona that made him a super star, the other the "Wrestling Machine," which he did when people sort of card about ECW for a bit. Bob: Jim I could not agree more ECW is a literal non-entity at this point but Angle went on in the press conference to praise the young superstar Seth Rollins, cover star of 2K18, and expressed interest in changing his finishing move into the Stone Cold Stunner, which doesn't make a ton of sense but we'll forgive our man Kurt because his neck is so massive. Jim: Yes and look at the size of that neck Bob its thicker than a California Red Wood. Bob: Thicker than a bowl of cold oatmeal. Jim: Thicker than someone who thinks they can take on King Kurt in his prime! Bob: This is going to be an epic game, with the last one having over 175 playable characters when you include the DLC, we cannot wait to see what we get out of this installment. Jim: Absolutely and the game comes out October 17th for PS4 and Xbox One so save the date and get ready, because The Angle Slam is coming for you and you know it's doneso when he gets you there.